Welcome back to Day 11 of 12 Days of Arduino! Today I backtrack a bit and tie up some “loose ends” with the design. The HC-06 that I am using states that it needs 3.3v on the rx, not 5v as I had it set up yesterday. We’ll want to comply with this to avoid damaging any components. A simple way to go about this is to create a voltage divider using a couple resistors. I use this handy tool that does all the math for you to figure out what resistance resistors are necessary to get our voltage down to 3.3v: Voltage Divider Calculator. I ended up going with a 1k and a 2k resistor to obtain close to 3.3v. Pro Tip: You won’t find this in most tutorials or datasheets, the heatsink tab of the TIP120 is directly connected to the Collector. 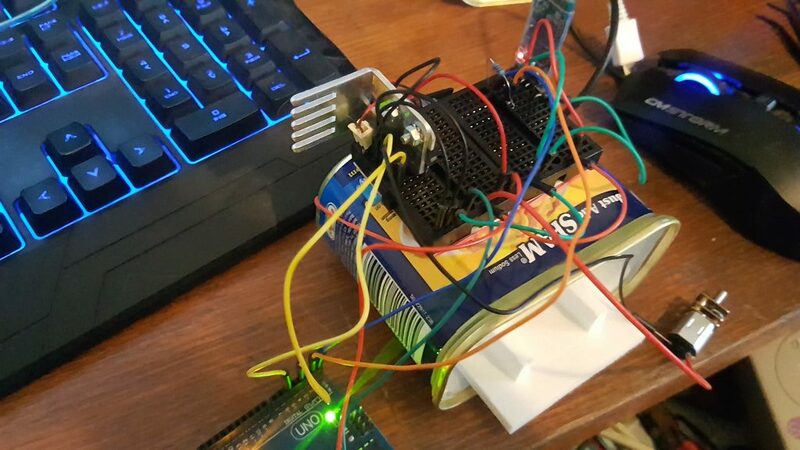 Because of the heat sink I had connected to both the Tip120’s, when the circuit would close it would also close the circuit to the transistor that was also connected to the heatsink. So unfortunately I had to remove the cool looking heat sink which honestly was probably complete overkill in the first place, more aesthetic than functional, so it’s probably for the best! That being said. 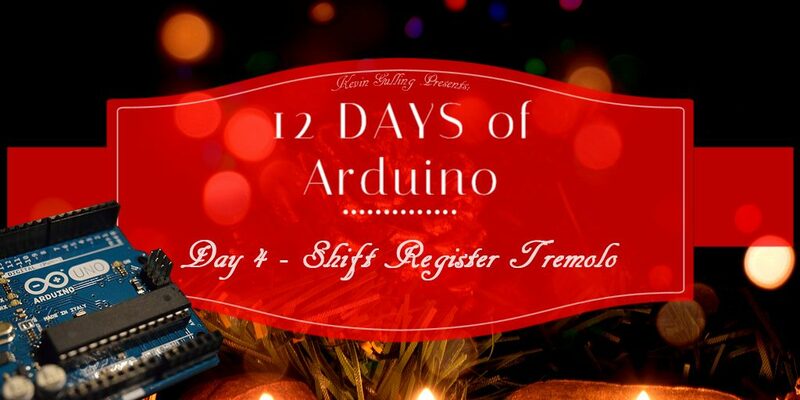 Day 8 of 12 Days of Arduino! 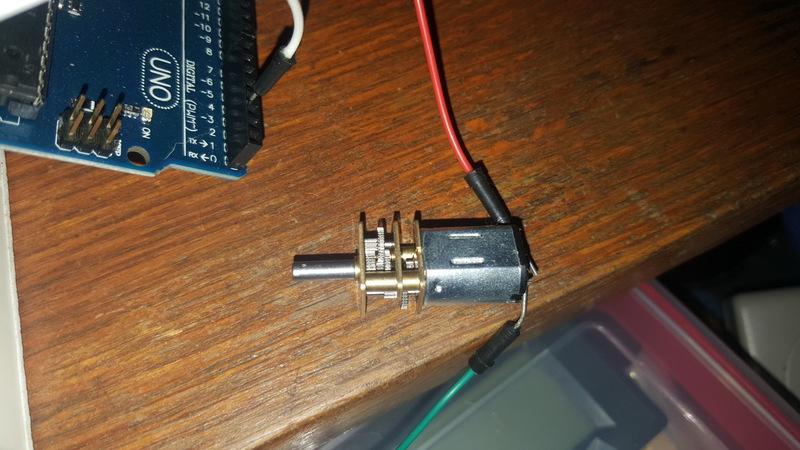 Today I’m starting a new project, utilizing a 6v geared motor I found on Ebay. It does 30 RPM’s after the reduction, so it should have plenty of torque for most small-scale projects! This particular motor does not have reversible polarity, so it only spins in one direction, but for this simple project that will due perfectly! My goal here was to create the simplest motor controller possible and my original goal was to try and find a motor that I could run directly off the Arduino Uno io pins, which is a recommended 40mA maximum load. After testing the current on the motor I purchased I found that I was drawing 70mA, which was low enough not to fry anything, but probably not going to hold up over time. But that’s fine because a Tip120 is great in this scenario!